Stronger, harder, faster. Nope, we aren't talking about a certain Daft Punk song or another activity that may have sprung to mind; instead, this is Deep Silver's description of Nail'd. We’d call it an Xbox 360 racer that favours off-road sand dunes, icy peaks and damp forests, but, sure – stronger, harder, faster. That works too. At its heart, Nail'd is all about racing motocross bikes and ATVs (quad bikes) around courses packed with immensely steep hills and soaring jumps. Nail’d pushes the speed to the extreme too, so it can be days before returning to terra firma after some of the larger jumps. The structure is fairly predictable, revolving around beating other racers to the finish line in an extremely arcadey fashion. Once in a while Nail'd does venture off the beaten track to inject a bit of variety, however. 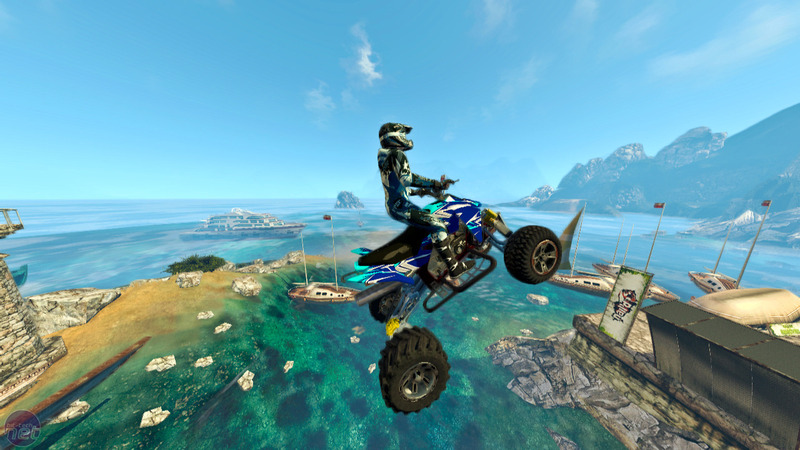 Some races will be won by whoever has made the most stunt points, for example; others involve an unlimited boost bar. The former is a little dull when you realise you can’t actually perform tricks – points are instead earned for smooth landings or flying through flaming hoops. 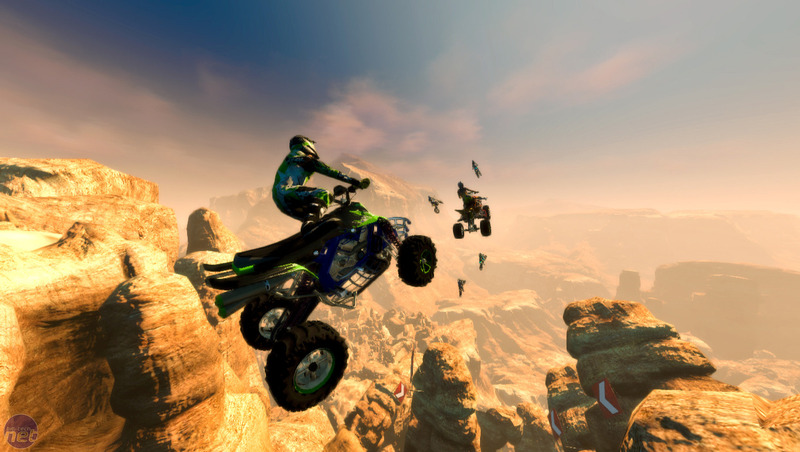 Those hoping for a motor-powered version of SSX will be sorely disappointed. The infinite boost race, however, more than makes up for the inability to go 'no-handed.' These magnificently fast sprints to the finish will have you grinning ear to ear, because Nail'd has no trouble creating the illusion of speed. When you hit that boost button, which you won't be able to resist doing, your eyes really do need to cling on for dear life. The scenery thunders past, without any hesitance or stuttering. Simply put, Nail'd is one of the fastest racers there is. The Xbox's Quantum Redshift, with its eye-melting 1,000mph speeds, was the last racer to feel as quick, but its vehicles had the help of futuristic jet-propulsion. Visually, the Chrome Engine that Nail'd uses isn't going to impress anyone. Jaggies and haziness dominates the screen before matches start, and it's plain that the tech powering Nail’d is a little dated. It’s only when the races actually start, and all the speed filters and blur effects come into play, that matters improve. Still, the frame rate is consistently high and, for a racer, that’s the most important thing. The fact that the tech isn't groundbreaking doesn't damage the experience. Not that you get a lot of time to really check out the scenery anyway, except when during one of the game's orbital jumps. Your other racing opponents are the least of your worries. Gigantic chasms, trains, hot air balloons, tunnels and a whole lot more need to be conquered if you wish to just make it to the end of each course. It would be misleading to describe the races as ‘courses’ though, as they're more like rollercoasters – only without the ear-piercing screams and two-hour wait. If you think the speeds are crazy, wait until you're jumping off the top of a cliff only to land on the skeleton fuselage of a jumbo jet. Weaving your airborne ATV around hot air balloons is another highlight. More tweaks needed to Dead Island successor.